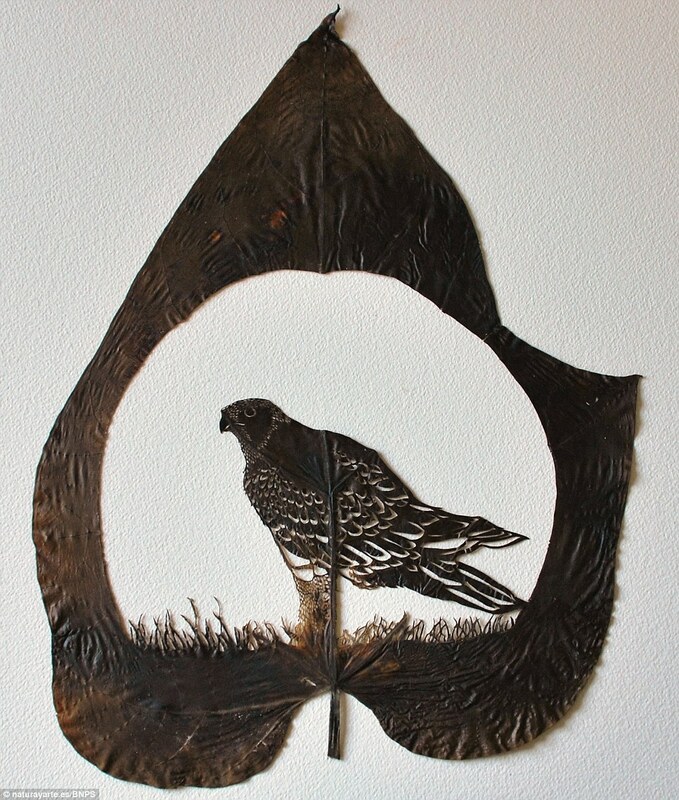 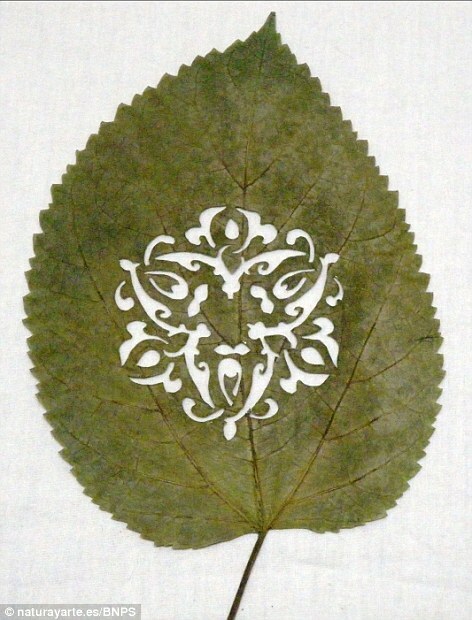 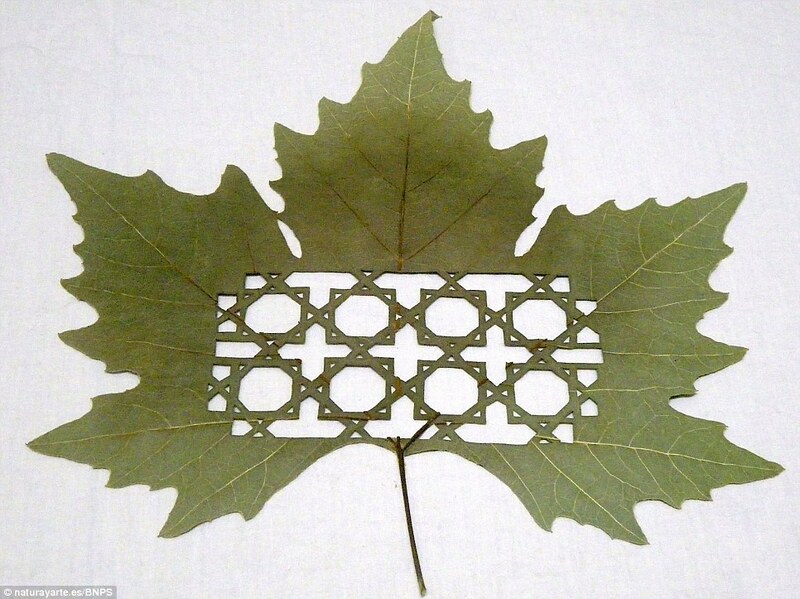 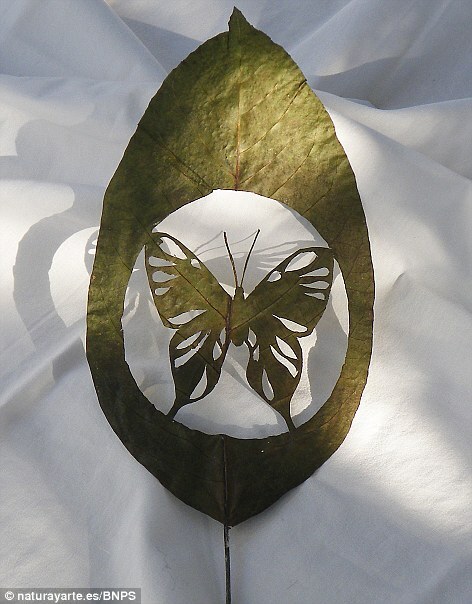 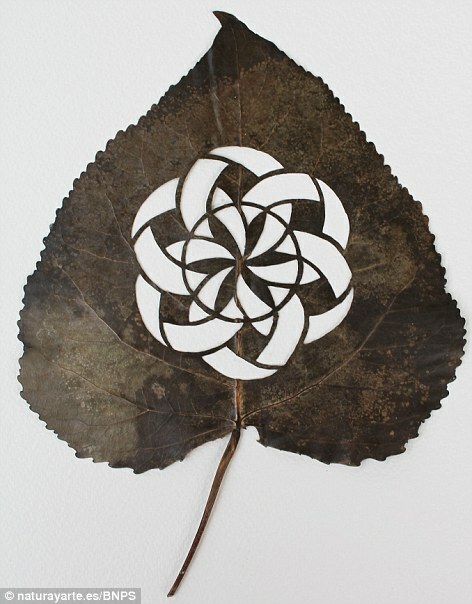 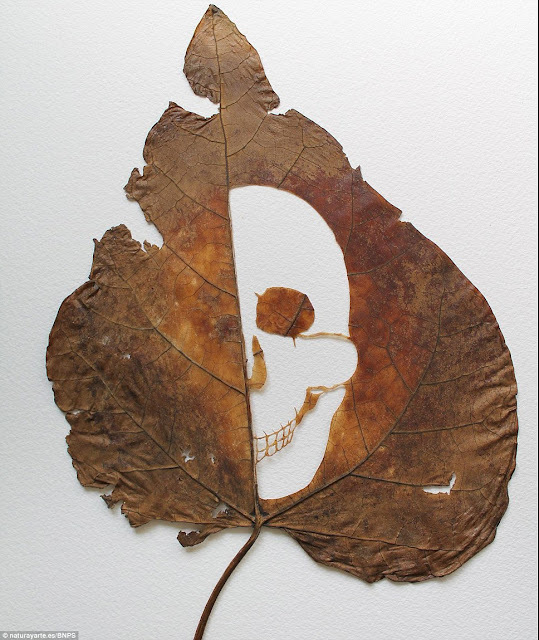 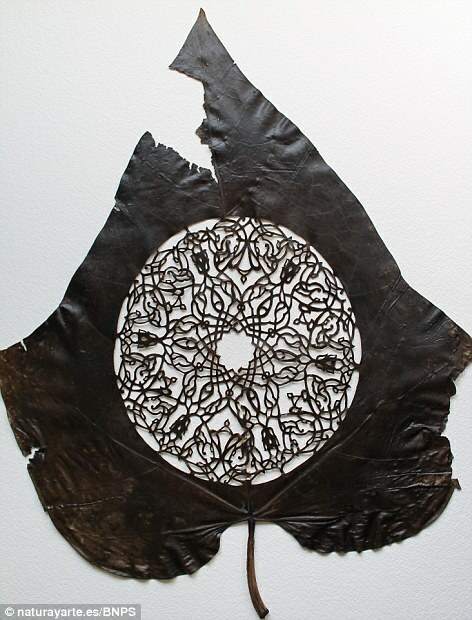 These stunning works of art are set to blow people away after a sculptor painstakingly cut shapes out of fallen leaves. 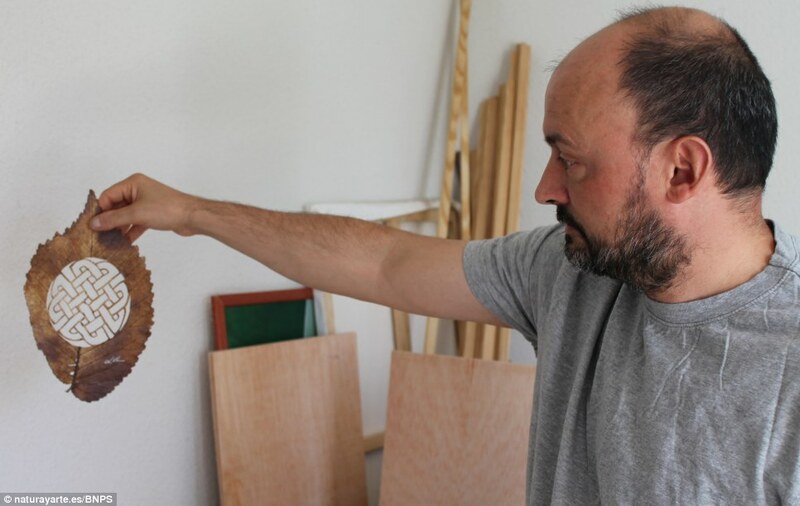 Lorenzo Duran Silva, 43, was inspired to create the delicate work after watching a caterpillar make holes in a leaf by eating it. 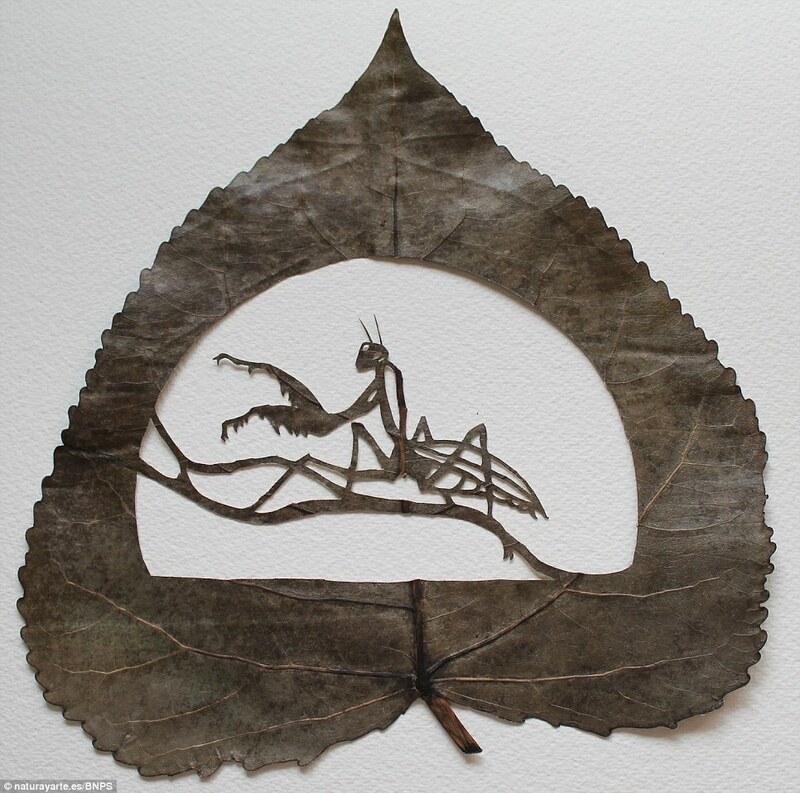 He collects foliage in his garden and parks which he then spends weeks transforming into beautiful works of art.